Arrive at Guwahati greeted by our executive. Transfer to hotel. Check in hotel and freshen up. 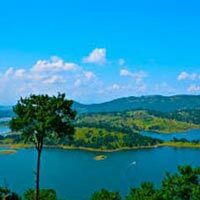 After lunch go for local sightseeing at Guwahati. Evening is free for shopping. After dinner stay overnight at Guwahati. After breakfast check out from hotel and drive to Kaziranga National Park. Lunch on the way to Kaziranga. Arrive Kaziranga by evening and after dinner overnight stay at Kaziranga. Early morning go for elephant safari and after completion return to hotel. After breakfast check out from hotel and drive to Shillong. Arrive at Shillong by evening and check in hotel. Evening is free for shopping, after dinner overnight stay at Shillong. After breakfast drive to Cherrapunjee , after completion of sightseeing, complete lunch and drive back to Shillong. 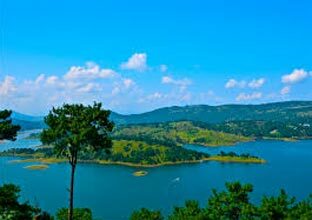 Arrive at Shillong by evening, after dinner overnight stay at Shillong. Morning after breakfast, check out from hotel and visit some more scenic locations. Post lunch drive back to Guwahati. Arrive Guwahati by evening and check in hotel. Evening is free and after dinner overnight stay. Morning after breakfast check out from hotel and drive to airport.